Agent Spinner is actually one of our favorite casinos. We have chatted a lot with the support and must say they are among the best supports we have encountered. The casino is also very fresh and clean. We think it is a cozy casino with a friendly atmosphere. Who is Agent Spinner? “Agent Spinner is an international spy, gambler and a self-proclaimed tough guy. He likes fancy cars (who doesn’t) and fast spinning slots. Mr Spinner always says that if there was a World Cup for gambling, he would win it.” Agent Spinner team told us that they have told him that it does exist, but he hasn’t heard it yet. There are bonus spin assignments with bonus spins awards on the casino. They also have competitions and special assignments where you can gain a Mystery Case reward. 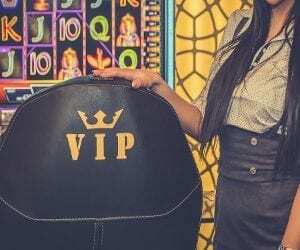 “You can win anything from Bonus Spins, Cash Prizes, Tickets, Boosters, Gadgets and Holidays.” Since the casino is growing and new inventions are coming up, it is a good time to join them. It is a stylish casino with elegance! We on NetEntCasinoNoDepositBonus recommend this “world class” casino. 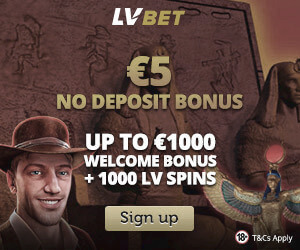 Sign up now and they will give you 100 No Deposit Bonus Spins in the funny game Spinions. You will get them after you have registered your telephone nr. The 100 Spins in Spinions will be divided by 10 and given in 10 consecutive days (You get 10 each day). They will also double your first deposit. They have tournaments and competitions. We on NetEntCasinoNoDepositBonus participated in the daily competition last year. It was during Christmas time, 2017. We participated in the daily competition where the goal was to get as much as possible on one freespin in a certain game. Top daily, 10 scores got 100 Freespins in a specific game. We won 100 Freespins 2 times! We LOVE AGENT SPINNER! You will get 10 Free Spins per day during 10 days IN SPINIONS. The minimum deposit for claiming any deposit offer is €10. 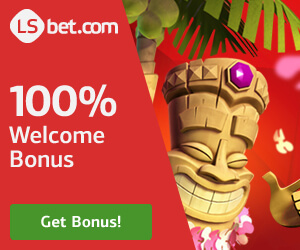 Choose if you want Spins on Book of Dead or a 100% Bonus! The bonus is subject to wagering fifty times (50x) the claimed bonus amount before it is converted to real money balance. This bonus can’t be used with the following games: Blood Suckers, 1429 Uncharted Seas, Dead or Alive, Jackpot 6000, Jackpot Jester 50000, Devils Delight, Jack Hammer, Safari Madness, Pirate’s Gold, Magic Love, Beetle Frenzy, Secrets of the Stones, Secrets of Christmas, Peek a Boo, Creature from the Black Lagoon, Alien Robots, Super Monopoly Money, The Wish Master, Tower Quest, Joker 8000, Joker 10000, Joker 10000 Deluxe, Jokerizer, Wicked Circus, Dark Joker Rizes, all Table Games, all Live Casino Games, All Video Pokers and all Jackpot Games. Bets placed on all other games will count towards the wagering requirements. 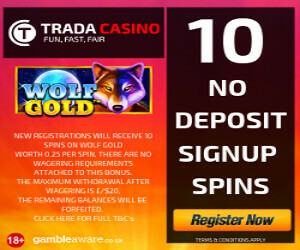 Register today and you will get: 100 No Deposit BONUS SPINS, enjoy!